"A mid-range hotel in a fantastic location, the Mottaret works well with the all-inclusive package, where all your drinks are included. With skiing from 50m away down the Perdrix green run, you are perfectly placed to explore the epic Three Valleys ski area." WIFI throughout the hotel, new ski locker room, extended hotel bar, upgraded bathrooms in a large number of guest rooms – with large walk-in showers or baths. 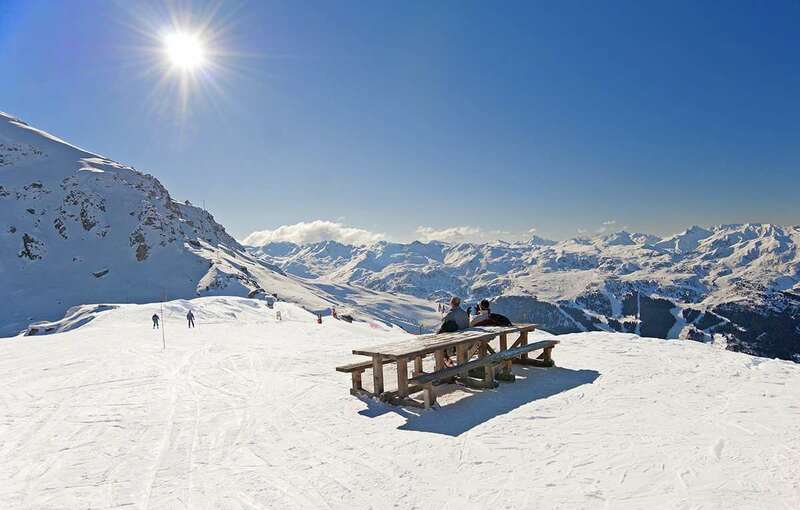 Keen skiers can take advantage of the Mottaret's close proximity to the slopes and be first on the piste to enjoy the first class skiing in the Three Valleys. The piste side terrace is attached to the refurbished and lively Café del Mott which provides lunchtime meals, après-ski entertainment plus there is a relaxed evening atmosphere in the bar. Guests can also relax in the outdoor jacuzzi, a brilliant way to sooth the muscles after a great day on the slopes. A lively restaurant, bar and terrace, Café Del Mott boasts a ski-in ski-out location in the heart of the world's largest ski area. With DJs from all over Europe, including Ibiza, and an open air jaccuzi, be prepared to après in style this winter. Enjoy slick table service on the private jacuzzi deck, a self-service BBQ on the huge 400m2 terrace and ice cold drinks served at the Pole Sud Bar. The Pole Sud bar offers chilled-out evening entertainment featuring live music and guest DJs. The winning combination of ice cold cocktails and a cosy open fire make it hard to leave. Our 42 double and twin non-smoking rooms all have a balcony with either a piste or valley view. The rooms are spacious, comfortable and equipped with satellite TV, iPod docking stations, hairdryers, and choice of non-allergic foam or goosedown pillows. Family suites are available and also include a kitchenette with a fridge and complimentary tea and coffee facilities. Our Standard rooms sleep 2 people and have two single beds. Each room has a TNT tv, telephone, bathroom with bath or shower and WC. The majority have a balcony. Guests have free access to the jacuzzi in the hotel. Our triple rooms are spacious and comfortable and have 3 single beds, bathroom, separate WC, telephone, TNT television. They also have a balcony overlooking the slopes. Hotel Le Mottaret is available to book via a number of our tour operator partners. Packages with flights are generally available on a full board basis. Ask for confirmation of board basis at time of booking. Full buffet breakfast (sweet and savoury dishes, including hot dishes). Lunch served in the hotel restaurant, on the hotel terrace or in one of three partner restaurants on the slopes*. Afternoon tea. Buffet dinner. All you can drink (from a selection of soft and hot drinks, beer and wine, 10am - 10pm). Between 6-10pm, a selection of other alcoholic beverages are also offered. *Lunch in the partner restaurants does not include unlimited drinks"
For keen skiers ready to hit the slopes this is a fantastic hotel. a 2 minute walk down the road and you can put your skis on and get straight to the lift. Beautifully refurbished inside, everything is sleek and efficient. They also have cakes and biscuits around the hotel at all hours of the day which is handy. Staff are lovely and bus stop located close to the hotel so you can easily get down to Meribel. Great location close to the slopes - just down a short path and then pop on your skis! The rooms are comfortable and modern, with coffee, tea and cakes at the end of the corridor for a late snack. Very friendly staff. Cosy bar and lounge. The restaurant is buffet style with a good variety evey evening. Will come back!